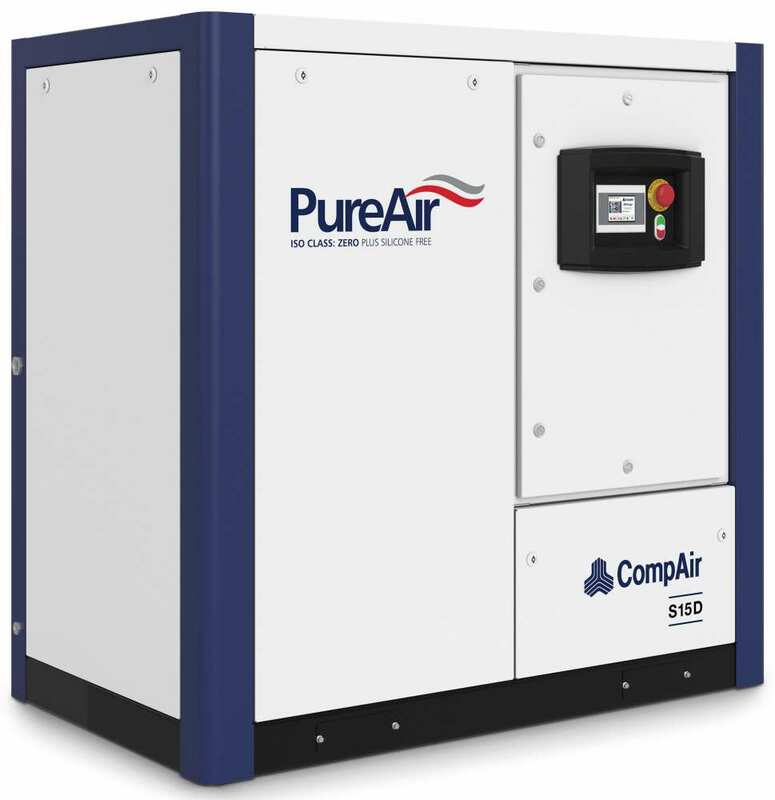 CompAir‘s S15D is an oil-free scroll compressor which has been certified ISO 8573- 1 Class 0 and silicone free, which represents the highest air quality level possible. 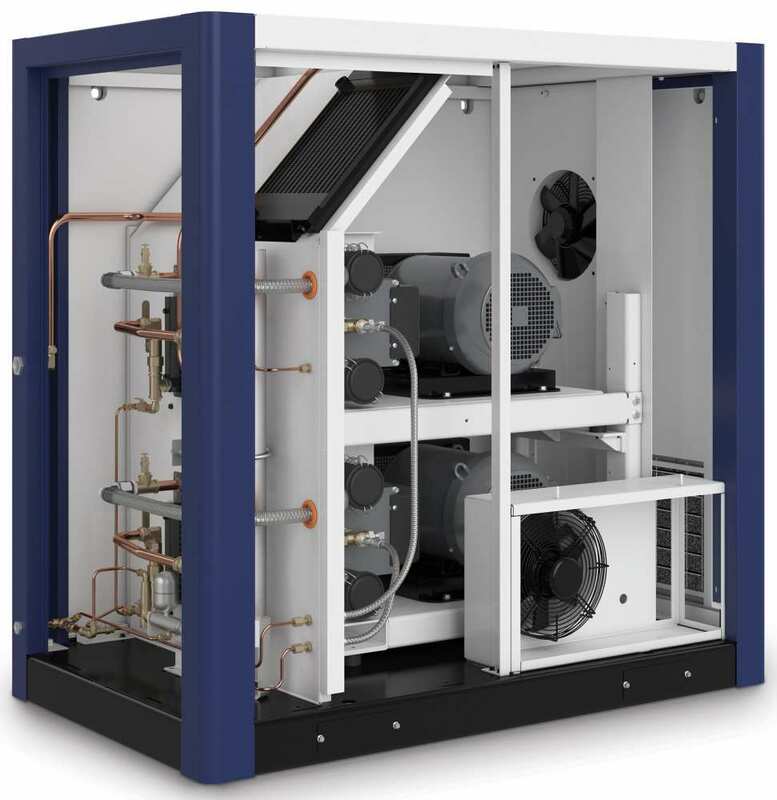 The reduced number of moving parts in the CompAir S15D air compressor combined with the hinged/removable enclosure side doors allow complete access to all service points for short servicing times and reduced service costs. The S15D has been designed with low noise sound enclosure and internal vibration insulators to achieve noise levels as low as 71 dB(A). You can reduce installation costs with the S04 by being able to locate the compressor near to personnel or equipment without health and safety issues.